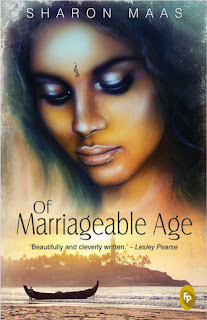 Sharon will soon be entering the digital world with the e-publication of Of Marriageable Age through the Women's Fiction publisher Bookouture -- revised, and with a brand new cover. Let's know more about her through this interview; but before that - some details about the book. A magical story of forbidden love, spanning three continents and three decades. Set against the Independence struggles of two British colonies, Of Marriageable Age is ultimately a story of personal triumph against a brutal fate, brought to life by a colorful cast of characters . . .
Savitri, intuitive and charismatic, grows up among the servants of a pre-war English household in the Raj. But the traditional customs of her Brahmin family clash against English upper-class prejudice, threatening her love for the privileged son of the house. Nataraj, raised as the son of an idealistic doctor in rural South India, finds life in London heady, with girls and grass easily available… until he is summoned back home to face raw reality. 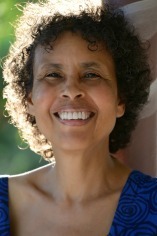 Saroj, her fire hidden by outward reserve, comes of age in Guyana, South America. When her too-strict, orthodox Hindu father proves to have feet of clay she finally rebels against him... and even against her gentle, apparently docile Ma. But Ma harbours a deep secret… one that binds these three so disparate lives and hurtles them towards a truth that could destroy their world. 1. 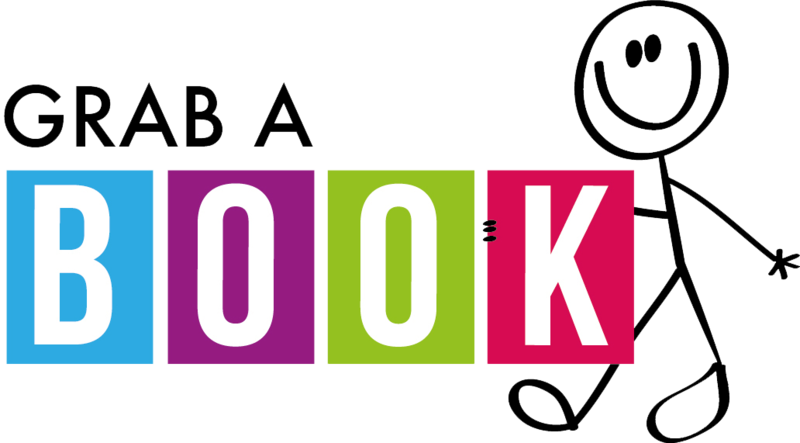 Intriguing and compelling, the book ‘Of Marriageable Age’ keeps the readers glued to the end. What inspired you to write such a story? The impulse came from the fact that none of the books I was reading – and I read lots of books! ---seemed to reflect the reality I knew; the countries and cultures I lived in, the people I knew and who had influenced me the most. 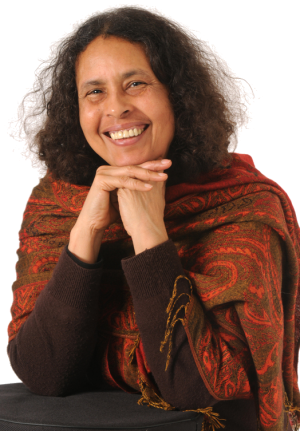 I started with a situation from my own youth – having a best friend from a strict Hindu family, in Guyana – and it took off form there. The story just seemed to have its own wings; I just went along with it! I wanted to write the kind of book I wanted to read. Meet characters who would be familiar to me, because they came from a similar background. And on the other hand, I want to share such stories with others. So on the one hand it was the urge to create, the other the urge to express that creation, to communicate with others, to show others a piece of the world they may not yet know. Even while writing, I feel that connection with future readers, a sense of drawing them into the story. It seems to work for many. I believe a writer should love his or her readers. I certainly do! 2. The one thing that you cannot help but notice in this book is the detailed description of each character and their lives. How do you manage to create such an amazing experience for your readers? I do believe that inside us all is a sort of “connecting thread”. When I learnt to meditate, I also learned to feel into that connection; it helps me to know people at their core. And this works for fiction, as well. I “feel” into the characters, try to assess their depths and their deeper motivations. It’s as if I know them intimately. I feel the characters as if they were real people, living and breathing and truly going through the situations I’ve put them in. Sometimes, I start a chapter with a problem and I have no idea how it’s going to be solved; but somehow, miraculously, the characters seem to come alive and find a solution. This just happened in the final chapter of the book I’m now writing—I had only the vaguest idea of how it would end, and now and then while writing I wondered what would happen. But again and again I put my trust in the characters, confident that when the time came, they would know what to do. And they did—I was myself surprised be the neat solution that came about! 3. Is there a particular character in the book that you identify with? Savitri is the one closest to me, but Saroj is not far behind. Yet neither of these are actually like me. The one most in sync with who I am is actually Trixie – the naughty girl! I think Savitri is a kind of conglomerate of several women—Indian and otherwise—that I have known, mothers who are not very visible or outspoken but are still wise and strong, the backbone of the family. Such women tend to be disregarded today as old-fashioned—yet we would do well to remember and respect them. Saroj is based on a friend of mine in similar circumstances, with Trixie as the modern girl egging her on to escape her boundaries. 4. Out of the three main characters – Saroj, Savitri and Nataraj; which one did you enjoy writing the most? It’s hard to choose, since every time I changed to one of them I kind of “became” that character. But in the end I think again, Savitri is the one who wins out. She has something magical, extraordinary about her which the others can only emulate, but not really live up to. 5. When Sharon Maas is not busy writing; you will find her ____? Well, I have a day job, as a social worker in a hospital, so most of the time I am doing just that! I shall be retiring soon, though, and I shall have to think up some interesting things to do. I want to go on a proper Yoga retreat at some point. But I am also a voracious reader, so you’ll often find me curled up with a book. I’m sure that after retirement I will travel a lot, visit friends in countries I haven’t been to, explore parts of the world that intrigue me. And hopefully write lots more books. 6. 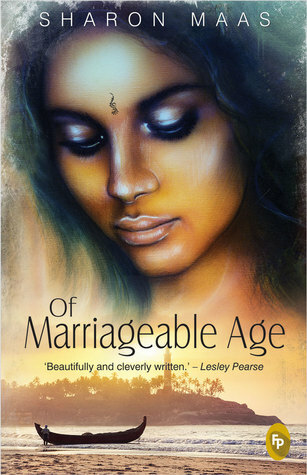 Of Marriageable Age is a remarkable book that sweeps across the boundaries of culture and countries. How was the experience of creating characters with such diverse backgrounds? It actually came naturally to me as I have myself moved effortlessly from one culture to the next—I have a base in three countries, three continents – Guyana, Germany, India -- and feel equally at home in each. So creating characters of European, Indian or Guyanese backgrounds felt appropriate. 7. The book transports the readers from one place to another part of the world within minutes. Did writing about so many different places require a lot of research? Not really – I tried to keep within the limits of what I already know – for instance, the history of the countries concerned – and any specific questions left over were quite easily answered by friends or through the internet. 8. What is the secret of your writing that brings even a story set in pre-war times to vivid life? See the answer to question 2: my secret is in fact meditation. Meditation takes me to a still and silent part of myself, a space which I believe is the source of creativity. My experience is that there is a life and reality in that source which finds its outlet in the arts – in my case, writing. All creative people – even those who don’t consciously meditate – are somehow in touch with that. I believe that is the true inspiration for all creativity. So while I try to get the factual elements of the story for instance, the history – there is still an essence which is the foundation of the action and that is what makes a story alive. Otherwise it is just a bland recounting of a storyline. 9. Out of all the books that you have written, do you have a personal favourite? 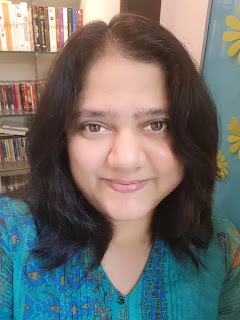 Of Marriageable Age is actually my favourite, being the first, the book that taught me that yes, I can write, I have stories within me, I can let them out. It was a life-changing experience. 10. Which book are you reading right now? It’s called Sugar Queen, by Natalie Baszile, and it’s very good! It’s also helping me with my research for my next book, since it is about a sugar cane planatation, just like the book I’m writing. 11. We would like to know about any new project you are currently working on. I’m just finishing off the second in the Quint trilogy, novels set in Guyana, about a sugar-planter family. Just today I finished the first draft; now I had to go back and revise the whole thing, before sending it off to me editor. 12. Any words for the readers? I write for you – and I love it! I love to think that right now, right this minute, somebody somewhere might be reading words I wrote. It’s a wonderful, miraculous connection. Thank you for picking up one of my books, and I hope you enjoy it! Thank you very much for your time and wish you the best for your future endeavours.